Mathematics has many applications in health care. Dr Jason Hughes, from the University’s Mathematical Sciences Research Centre and Dr Miriam McMullan, Lecturer in Podiatry are collaborating on developing a new mathematical model to predict the pressure on feet. The model could help prevent foot ulcers. They have been awarded a grant from the University’s Institute of Health and Community Pump Priming Fund. Tim Reis and Ana Paula Palacois attended the Astonishing Science Weekend in Butlins (Bognor) 15th-17th April of this year. They presented a popular demonstration about walking on custard. One review of the walking on custard demonstration. A review of the custard demo from the schoolrun.com . It is getting very close to the deadline for application, but there is a vacancy for a PhD position at the Center for Mathematical Sciences at Plymouth University. The full details are available. 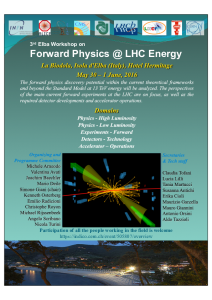 Craig McNeile has been invited to present a review on the status of lattice results for the masses of glueballs at the Elba 2016 workshop on Forward Physics in Italy. Glueballs are made out of gluons. They are in principle allowed by the QCD theory (the most important theory for nuclear physics), but there is no experimental evidence for them. There have been many experiments, which have tried to find them, but so far there has been no confirmed signal for glueballs. Better experiments and more accurate theoretical calculations of the glueball masses may help us find this new class of particle. Dr Tim Reis has been awarded Faculty Winner for the award of Most Innovative use of Teaching Methods at last week’s SSTAR Awards. The idea and aim behind the SSTAR Awards is to celebrate and reward some of the excellent University staff members and dedicated Student Reps at Plymouth University. Dr Julian Sander, Dr. Luciana Dalla Valle and collaborators have written an interesting article about the life expectancy of the Pope. The current Pope, jokingly announced that he expected to live another two or three years. In their article, the authors use Bayesian statistics with the data from the life spans of previous Popes, to show that the current Pope will probably live much longer than a few years. The paper was discussed on a radio show on the BBC. There is a special arts exhibition in the Peninsula Arts Gallery, Roland Levinsky Building at the University of Plymouth. The exhibition presents the outcomes of conversations between artists and mathematician. It was created to celebrate their 150th anniversary of the London Mathematical Society. The exhibition is installed until May 28th 2016. On the 21st April, the film Thinking Space directed and produced by Heidi Morstang , will be shown at Plymouth University. The 60 minute documentary film features nine UK-based mathematicians offering insights into their mathematical thinking across a broad range of mathematical research fields. You can get details from the whats on page at the University. The film will be introduced by Professor Stephen Huggett from the CMS at Plymouth University. The film maker Heidi Morstang will be also be at the screening. Talk at meeting in Braunschweig Germany. Daniel Robertz recently presented a talk in the minisymposia on computer algebra at the joint Annual Meeting of GAMM and DMV, at Braunschweig, Germany (March 7 to 11th 2016). Plymouth is known as the Ocean city. The sea permeates almost every aspect of the city, including the University of course. It is important to understand the sea’s influence on the coast (as anyone who has taken the train from Plymouth to Exeter can testify). What better way to understand the sea, than to use mathematics. 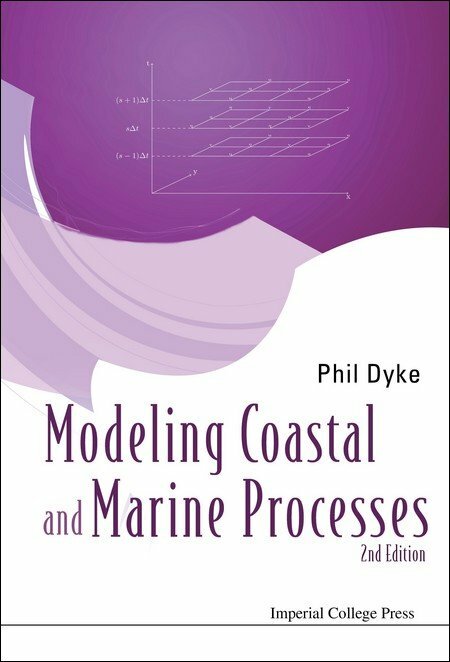 On April 11th, the extensively revised second edition of the book Modelling Coastal and Marine Processes, written by Prof. Philip Dyke will be published. The update now includes pointers to open source software, and details developments in new numerical methods, beyond the trusty finite difference methods.